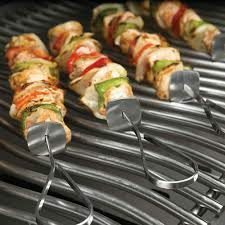 Why we like this product: The 14″ skewers allow you to be creative with your food. The stainless steel will not rust and the built in slider feature allows for easy food removal. Stab away.